The 6th President of the U.S. served his country for most of his 81 years. After a secondary education in Europe he returned to the U.S., graduated from Harvard, studied law, and began public service in 1794 when he was appointed minister to Holland by President Washington. He represented Massachusetts in the U.S. Senate from 1803 to 1809, and he was one of the commissioners in 1813 to negotiate the Treaty of Ghent which ended the War of 1812. He was minister to England from 1815-1817, secretary of state in 1817, and was elected President of the U.S. serving from 1825 to 1829. In 1830 he was elected to the U.S. House of Representatives from Massachusetts and remained in the position until his death 17 years later. He collapsed while addressing a session of Congress. 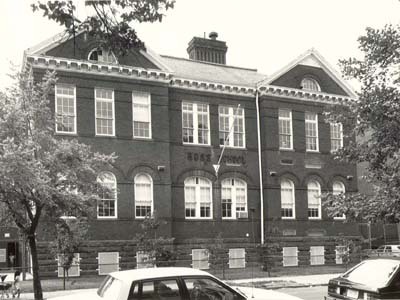 Adams-Morgan is named for the two schools located in the area, of which Adams ES is one. Because of its proximity to the foreign embassies, Adams ES at one time taught more foreign-born students than any other school in the system. 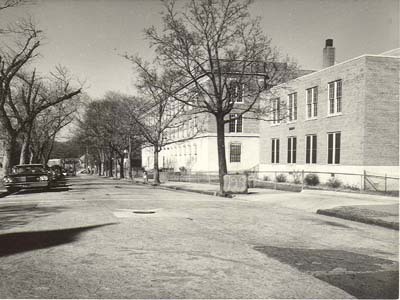 In 1969 it became the first community-controlled school. 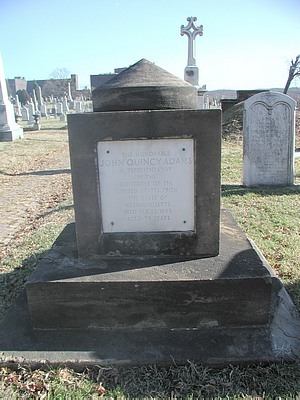 One of the cenotaphs designed by Benjamin Latrobe placed at Congressional Cemetery in honor of Representatives and Senators who died in office. 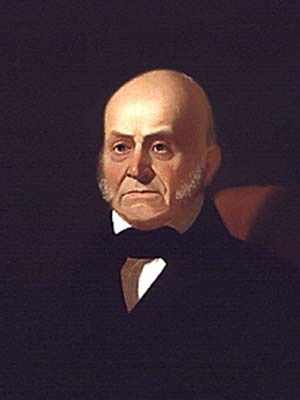 John Quincy Adams is buried in Quincy, Massachusetts.